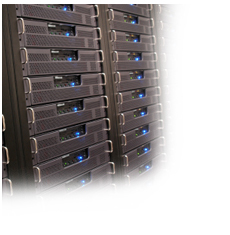 DavLong offers remote Cloud Server Hosting services in our secure hosting facility. If you have the space and employees onsite necessary to do updates and backups, having the server on your site could be the better choice for your practice. If you’d rather have us do it, we’d be pleased to provide your Cloud Server Hosting services. Having your server on site or using us for Cloud Server Hosting are both first-rate choices – it just depends on what works best with the resources you have. With either option we offer on-going long-term support. Whether you are hosting your own licensed software or using our Cloud Server Hosting services, DavLong offers onsite training with multiple courses to achieve optimum usage of all of our software suites. We also provide complete installation and testing, and go-live support. Additionally, knowing that each practice is different, we assign a project manager to oversee your individual installation and Cloud Server Hosting services. Let us be your Cloud Server Hosting provider! Talk with us to provide pricing for Cloud Server Hosting services for your practice today. Call toll-free now, 800-413-7764.